Abbie Vida Black was born March 15 1873 in Hokitika, New Zealand. Her parents moved to Beaconsfield, Tasmania when Abbie was four, and she receiver her education and pursued an interest in teaching as a profession there. However, exposure to the Salvation Army Field Officers in Beaconsfield made quite an impression on Abbie. She attended meetings at the church there, gave her heart to God, became a Salvation Army Soldier and later entered the School for Salvation Army Officers Training from Beaconsfield, Tasmania. After receiving her Commission as a Field Officer in 1896, Abbie served at two Salvation Army Corps in this capacity. She was then given a Divisional Office appointment, and this led to the Women's Social Services Department where she served in Maternity Homes and Children's Homes. In this latter respect she was called upon to sit on Government Commissions dealing with the welfare of women and children. After her marriage to Commissioner Orames in 1903, Mrs. Orames helped him in every way possible. (See below, regarding her sharing a life and responsibility with her Salvation Army Officer/husband.) Her personal area of responsibility included special work in the National Council of Women; serving on the Film Censorship Board; served as Justice of the Peace for New South Wales, Australia; and in addition to all of this Abbie found time to take an active role in her Salvation Army assignments. 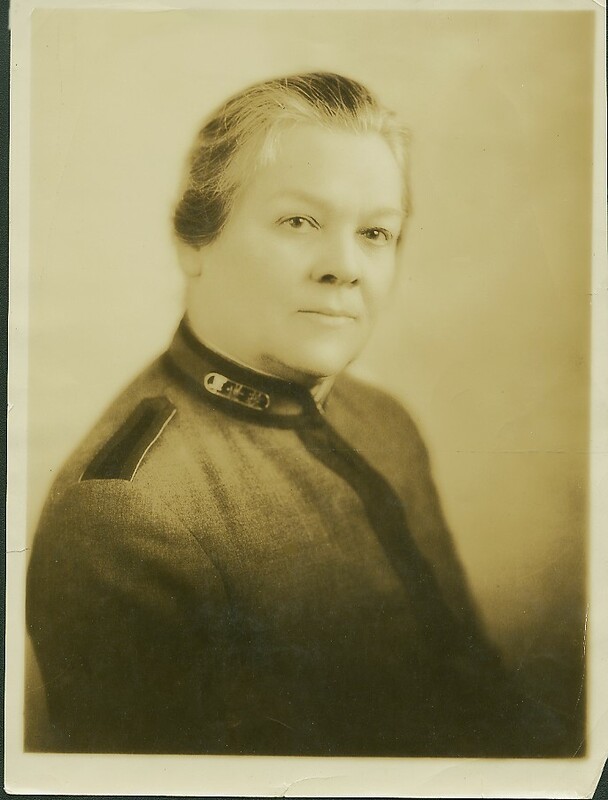 In reviewing the assignments that follow (the military term for these is 'appointments'), note that the Salvation Army appointed Mrs. Orames to work in Australia, North China, The United States, and Canada. A stroke left her incapacitated shortly after her arrival in Canada, and Abbie Vida Orames (Black) spent her last days giving moral and welcome support to her husband and family. She was Promoted to Glory on November 7, 1945. * In all of the appointments given to the Commissioner, Mrs. Orames had specific women's related social work as her role in their partnership.